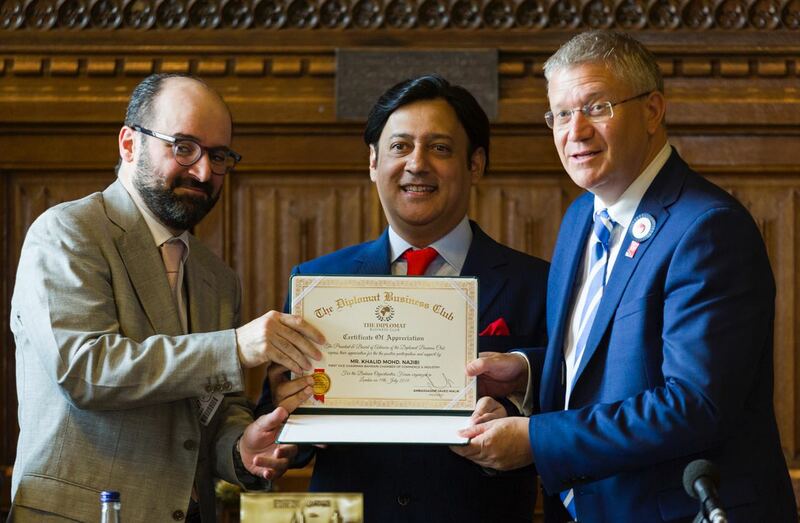 The British Member of Parliament Andrew Rosindell, and the President of the U.K-based Diplomat Business Club Javed Malik have honored the Chairman of the Bahrain Chamber of Commerce and Industry (BCCI) Sameer Nass, and First vice-Chairman Khalid Najibi. 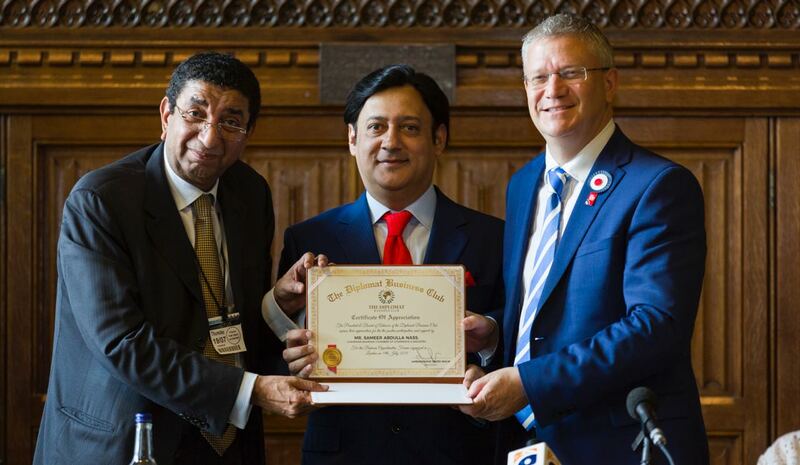 This came on the sidelines of BCCI’s participation in a high level forum held at the Palace of Westminster in London. The Forum was organized by the Diplomat Business Club under the theme “Investment Opportunities in Bahrain”. Present at the forum were top officials and business owners, who expressed interest in Bahrain as a business and investment hub. While commending the efforts of the Diplomat Business Club, Mr. Nass highlighted Bahrain’s economic standing and underlined its business environment fertile for new investments and projects. He also stressed on the role of the Bahrain Chamber of Commerce and Industry in the context of the economic development march initiated by the wise leadership. Similarly, Mr. Najibi emphasized on the openness of the Bahraini economy, spoke about business and investment potentials, and underlined Bahrain’s distinguished location allowing access to the markets in the GCC and the region.